From baguettes to naan, bread is a staple across the globe. It comes in many forms: leavened and not, flat and square, round and chewy—the list goes on. All bread has at least some sort of grain or flour as the main ingredient. Pumpernickel contains dark rye, sourdough has wheat, and corn bread is made of, what else, ground cornmeal. 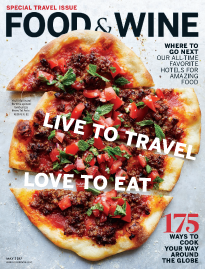 F&W’s guide is a window to the world’s bread options, with recipes from a variety of countries, techniques for making the best loaves and tips from master bakers.